We are prominent in supplying & exporting of Wrought Iron Machine in Steel furniture industries, Construction industries & Fabrication Industries at very best rates. It guarantees that all of collar models have high-quality collar end because the right and left ironing areas independent and angular. Thanks to specially-designed pneumatic operating system, a holder system is not needed that it prevents the collar from slipping. Therefore, it doesn't produce any mark which may be caused by the holder system. 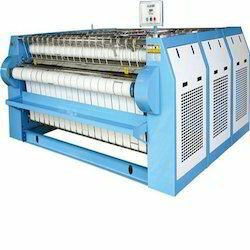 Flate WORK Ironer, Return Feed, Chest Type With Moisture Suction. Steam or Electric Thermal Fuild Heated. 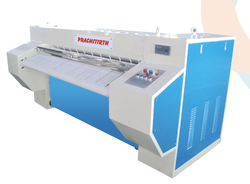 Superfab Flatwork Dryer Ironer, Capacity: 16"x72" To 30"x120"